Which Century Are We Living In? The pine Ridge Reservation is giving birth to a new Oglala child; a child bearing gifts of hope and renewal and a new way of looking at ourselves and the way we relate to our relatives. Many of our relatives are beginning to awaken to our situation and "Mitakuye Oyasin" is taking on a new meaning as we begin to examine our separate realities at the Red Cloud Building at the Pine Ridge Agency. The birthing process in the form of the occupation of tribal headquarters is now past the 40 day mark and will no doubt continue until the new Oglala childs "camp" is clean, warm and safe. For over 40 days we have been discussing our pain and our dreams. It seems we are living in different dimensions and different levels of extremes here on the Pine Ridge Reservation. On the outside, we are credited with having an abundance of spirituality, which we do, and this same spirituality has been adopted by the non-Indian to promote their own peaceful existence. However, here on the Reservation, these same rituals are often used to promote fear through the use of power and control over others. At the other extreme, there are circles of people whose only source of survival is rooted in the power of the prayers and our sacred Lakota ceremonies. What do you pray for first if you have no car, if you have no telephone, if you have no home, if you poor health, if you cannot provide for your children and if you are not safe as a woman or a child? Many of our people still live under these conditions and yet manage to stay alive. If many of your tribal families still live under these conditions, how different is this way of life from a hundred years ago? As a mother and grandmother, it is very hard to hear the stories and even harder to express my frustration on paper. Alone I can fume and rage and cry about the stories I hear from our people who have been disempowered in their own "country", meaning the Reservation. I listened to an elder lady as she expressed how she was humiliated when she approached a public official for financial assistance. She was told by this official that he didnt put her in this position so he shouldnt be expected to help her. He did relent by authorizing a $50 purchase order from the local shopping center. I pictured my mother, my aunties or maybe my sisters, having to experience this embarrassment and then the tears set in. How about this one? I met a young Lakota mother who is now homeless. Her five children are separated until she can find a home. Her daughter and her three children are sleeping in their grandmothers basement on the floor. This young woman had told me last year when we first met, that she would be happy with a one room cabin on her own land. She said shoe would be happy to chop wood and haul water, as long as she and her children could have a place of their own. On the other end of the spectrum are the individuals whose families, relatives, mistresses and in-laws prosper because they are able to access the "goods" at the "fort". The latest figures from the Oglala Sioux Tribes General Fund ledger and Indirect Cost ledger reveal that our income and revenues are completely mismanaged. The situation here resembles life on the Reservation a hundred years ago. Again, which century are we living in? Valentine Macgillicudy, an agent on the Pine Ridge Reservation in the late 1800s, described how a "ring" of individuals (both Lakota and wasicu) schemed on the treaty goods and rations which were sent to the Reservation for distribution to the new residents of the Reservation. He described how some wasicu deliberately made their homes on the southern border of the Reservation in order to capture the goods that came off the trains. Apparently, the local ringmasters worked with official in Washington, D. C. so they knew exactly when the freight was coming in and what was being sent in. The collusion of the locals and the wasicu in staling the goods and rations resulted in the Oglalas receiving less than what was intended for them. Does it not seem that we are still operation under the same policy? Our goods and resources now end up at the First National Bank in Gordon, Nebraska. Recently, a bank official from the First National Bank, without Tribal Council approval and knowledge, transferred $12,7by wire to Dakota Travel Agency, Lead, SD, to allow several suspended officials (Wesley "Chuck" Jacobs, Paul Little and Mike Her Many Horses) to travel to Washington, D.C. Once again, who is in charge of our goods and rations? Is it still the ring? The occupation of the Red Cloud building at the Agency has caused many of our people to awaken to the reality that we can no longer tolerate for "fort" mentality. Our people are slowly awakening to the reality of our being. I was told that corruption, as a by-product of oppression, is one way of making society manageable and that this process has been used for centuries to control indigenous populations. Now, many mothers and grandmothers are forced to confront corruption and deception. We are asking ourselves how we can help so that our children will survive in the new century. We are also asking how we can bring back the reverence for our sacred ways of respect, honesty, generosity, fortitude and humility. We put forth the following questions. How can your children become educated here on the Pine Ridge Reservation, if your child doesnt have a bed to sleep in, doesnt have clothing or isnt safe at the school? What if your child is homeless? What hopes and dreams do the young people have in a world where they have no rights? This reservation does not have a theater, a public swimming pool, recreation centers, and all other things needed by the youth. What are their alternatives? You know the answer-gang involvement, gang rapes, indiscriminate sexual activity, drinking alcohol, smoking weed, snorting cocaine, etc. Our Reservation is gifted with individuals who retain the knowledge, wisdom and power to promote healing and balance yet they are often overlooked and ignored so those teaching remain invisible except to the active seeker. As mothers and grandmothers we must stand together to rebuild our families and to restore balance in your lives. We must nourish our spirits with that which is rightfully ours. When we were children and we traveled away from home, our mother would often tell us to call our spirits back y calling our names. In this way, we would be peaceful and happy. 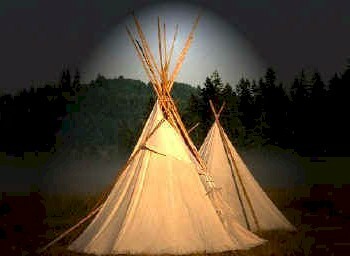 Perhaps it is time for all Oglala Oyate to call back their spirits from the "fort". Mitakuye Oyasin.